This is shaping up to be a huge season for Rockford East basketball – both individually and collectively. Individually, senior guard Chris Burnell is chasing down one of the longest-standing records in NIC-10 sports, as he sits 182 points short of the school’s all-time scoring mark, which was set by the legendary Skip Thoren in an E-Rab career that spanned 1958-1961. Thoren, who would go on to star at the University of Illinois and for three years in the ABA, graduated with 1,302 points. As for the collective part, the E-Rabs, led by Burnell and fellow Division I recruit Sincere Parker, are strong favorites to capture the conference crown. It would be East’s first since the 1980-81 season. It starts with the 6-foot-2 Burnell, who has played varsity all four years. He gained Special Mention All-NIC-10 honors as a freshman and a junior, and averaged 12.3 points, 3.7 assists, 4.5 rebounds and 1.5 steals per game last season. He has received offers from Southern Illinois University-Carbondale, Quincy University and Winona State, and is also drawing some interest from Northern Illinois. Parker, a 6-foot-4 junior guard, has received a scholarship offer from Long Beach State and is getting serious looks from NIU, South Florida and Florida Atlantic. That duo, along with returning starter Shaden Clanton (6-5 senior guard), make East a heavy favorite. 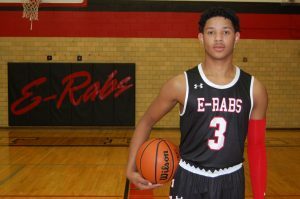 Other key players for the E-Rabs will be Andres Thompson (6-3, Sr.), Damarian Dickens (5-9 Sr.), Chris Hodge (5-10, Sr.), Markarious Luster (5-10 Jr.), Josh Crawford (5-11, Jr.), Marcus Pennington (6-5, Sr.) and Delvontae LeFlore (6-4, Jr.). Defending conference co-champ Boylan will also be batting for the crown with four starters returning off a 22-11 team (13-3 in the NIC-10). They are led by three-year varsity guard Jake Bergstrom and shot blocker extraordinaire Anthony Brown. Bergstrom (6-2, Sr.) averaged 2.8 assists, while Brown (6-4, Jr.) led the conference with two blocks per game while averaging 8.2 points. They are joined by fellow starters John Starck (5-10, Jr.) – who averaged 8.9 points while pouring in 64 3-pointers – and Johnny Close (6-2, Jr.). Other key players include Dayvion Foreman (5-10, Jr.), Jack Fulling (6-1, Jr.), Luke Bergstrom (6-2, Sr.), Max Kwiatkowski (6-4, Sr.), Zac Farson (6-1, Jr.) and CJ Couper (6-2, Sr.). Along with experience, size and rebounding will be a big strength of the Vikings, as Stewart was second in the NIC-10 with 7.4 rebounds per game, and Knuth added 4.5 boards. The key will be adjusting quickly to a new system under first-year coach Antonio Maestranzi. One of the darkhorse contenders may be Harlem. The Huskies, coming off a 6-10 season (9-20 overall) feature four returning starters, led by first-team all-NIC-10 selection David Williams. The 6-foot senior guard was third in the conference in scoring at 15.8 points and also hauled down nearly four rebounds per game. 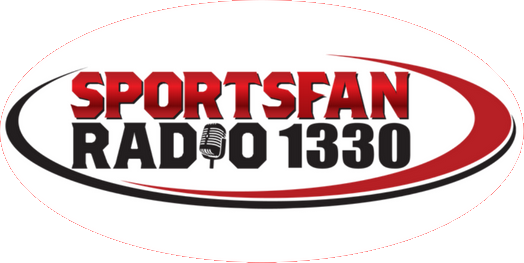 He will be joined by Treye Tucker (5-11, Sr.), Dom Renteria (5-10, Sr.) and Tre’Shaun Jones (6-7, Sr.). Tucker averaged 10.4 points and a league-high 5.1 assists, while Jones pulled down 4.3 rebounds per game. Coming off a strong season in which it tied for fourth at 11-5 in the NIC-10, Hononegah took a double hit from graduation and the transfer of Caleb Donaldson to Bloomington. Donaldson was the Indians’ No. 2 scorer at 11.7 points per game, behind the graduated Kameron Kolberg. As always, the Indians will be strong shooters, and should be tough on the boards with Pierson and Carnes. What Coach Mike Miller – in his 18th season at Hononegah – is most concerned about is the team’s ability to hang with the quicker teams in the conference. After finishing third at 12-4 (20-12 overall), Auburn may take a step back with no returning starters. Coach Bryan Ott, in his 20th season with the Knights, will rely on a young, relatively inexperienced squad, led by sophomore Josh Ausler (5-10). Other key players will be Javin Davis (6-2, Jr.), Justin Blake (6-2, Sr.), Markus Burd (5-9, Sr.), Elliott Gary (6-0, Sr.), Maurice Williams (5-11, Sr.), Tyshawn Whitt (5-10, Sr.), Haniefe Johnson (5-7, Jr.), Robert Chaney (5-11, Fr.) and Corzanos Maxwell (5-7, Jr.). Todd Brannan had a very successful season with Jefferson last year, leading the J-Hawks to the co-championship with Boylan. But he stepped down from that spot and landed at Belvidere North, where he takes over a team that went 3-13 (6-23 overall) and includes his son Caden. The Blue Thunder boast three returning starters in Holden Paddock (6-1, Jr.), Zach Reidenbach (5-10, Jr.) and John Carlson (6-5, Jr.). Carlson averaged 11.9 points and 5.5 rebounds, Reidenbach dished out 3.2 assists, and Paddock sank 30 3-pointers. The team that Brannan left – Jefferson – will have a very new look after losing three first-team all-NIC-10 players from their 13-3 squad (26-7 overall). And that new look starts at the top with first-year coach John Rossato. The Belvidere Bucs look to climb from the lower part of the NIC-10 under a new regime, as Brian Koehne takes over the program after a 3-13 season (6-24). He’ll do it with one fulltime starter back in senior Zach Tobler, and two parttime starters in Adrion Dalipi and Steven King. It was a rough season for Freeport last year, finishing last in the NIC-10 at 2-14 (5-22 overall). And it won’t get any easier with only one player with regular starting experience back in Kijuan Burns. Coach Ryan Pierce said Burns, who averaged 9.4 points and 4.1 rebounds, will join junior guard Deron Lacey as the leaders of an inexperienced squad.